Well, that’ll teach me to get excited about the regular-season and the potential the Browns young defensive unit has! Quite a bit of effort has been put into the Cleveland Browns’ defense this offseason with improvements coming through the draft and free agency as well as the trade with New England last season which bagged us LB Jamie Collins Sr. With the NFL being a pass-oriented league, it’s imperative that your defense can put pressure on the pocket and the opposition QB which has been the focus of the defensive rebuild in Cleveland so far. A huge part of that was the first overall selection of Texas A&M star DE Myles Garrett in the 2017 draft. With him on one side of the line and 2016’s 2nd round (32nd overall) selection, Emmanuel Ogbah on the other, I was ready to see a lot of pressure put on. Add big guy Danny Shelton at DT with rookie selections Caleb Brantley and Larry Ogunjobi and things were looking good for the defensive line. With Garrett going down with yet another ankle injury, people are starting to wonder if he’s actually one of those injury-prone players whose body might not be able to keep up with his skills. This is his second ankle injury already in his short career with the Browns after he suffered another one in OTA’s whilst pursuing now departed for Denver QB, Brock Osweiler. He also suffered a high ankle sprain during his final year at Texas A&M which has me a little concerned that we might be seeing the start of a trend none of us wants to see. The guy is meant to be, and has shown that he can be, a once in a generation type player with his physical attributes and skills combination, just like they said about Jadeveon Clowney who was also a first overall selection in the 2014 draft by the Houston Texans. The difference between the two comes when the discussion turns to work ethics and production when it’s generally agreed that Garrett has the better of both. It’s this mental attitude and wanting to succeed attitude that has me that bit more worried if I’m honest. Myles Garrett said a couple of silly things during the run-up to the 2017 NFL draft, but they were put right and he’s looked nothing but committed to the Browns since his selection with a willingness and wanting to get the franchise turned around and going in the right direction at long last. If he’s down and injured again I believe it’s genuine and he physically can’t work with it. That might sound harsh towards Jadeveon Clowney in an indirect way but, let’s be honest, I’m not the first one to suggest it and I doubt I’ll be the last. But, hey, what do I know? I’m just a fan looking in from the outside. So, what does this mean for the Browns? 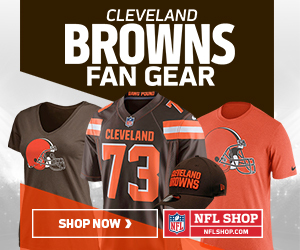 In my opinion, this is a massive loss to the Cleveland Browns as a team and a massive loss to us fans who have been treated to some fantastic defensive football during the preseason. I’ve actually been excited about seeing the Browns defense take to the field with that much improved front seven now that Joe Schobert has stepped up so well at MLB. The secondary has looked better now that they’ve offloaded CB Joe Haden to the Steelers (which I believe to be a great move considering how he’s been playing for too long now) and added Jason McCourty and Jabrill Peppers. That secondary is far from finished but it’s an improvement over previous seasons. He’s no Myles Garrett but we have another very good DE in Carl Nassib who I think has deserved more playing time. Obviously, I’d have much preferred him to get it whilst the Browns had a full compliment of players on defense, but I think he’ll now get the chance with the absence of Garrett. With Garrett estimated to miss anywhere from 4-6 weeks with his latest high ankle sprain, it falls to Nassib and Nate Orchard to fight over that spot on the line. Orchard flashed good play during the preseason as well but when Carl Nassib is on the field he seems to make things happen. He’s either putting pressure on the pocket and/or getting his hands up to bat down passes – I think he has good vision and football-smarts. If it were me, I’d be starting Ogbah and Nassib but we’ll have to wait and see. With Garrett out for a few weeks, the Browns will want a backup DE for depth and so have re-signed DL Tyrone Holmes after releasing him on September 3rd. Holmes was a 6th round draft pick by the Jacksonville Jaguars in 2016 but never made it to the regular-season with them before being picked up by the Browns. He appeared in 11 games during 2016 and managed 5 tackles and 1 sack. During this preseason, Holmes played well and helped himself to 9 tackles, 2 sacks and 1 forced fumble. To make room for Holmes on the roster, the Cleveland Browns have released OT Zach Sterup, which would appear to leave them a little short of depth along the offensive line. So there we have it, the regular-season hasn’t even started and the Browns bubble has already been pricked a little. It hasn’t burst yet and us fans are still pumped for the season proper to start, but it can’t be denied that I/we’re feeling a little deflated by this turn of events. Here’s hoping the defense can continue in its great preseason form and stick one to the Steelers.